Trailers are often my favorite part of the movie-going experience, and small plates and appetizers are usually my favorite parts of a restaurant meal. Small plates live up to the three-bite rule (which, in any of its applications, asserts that your appreciation for any dish diminishes after the third bite), and their very size means that you can sample from a number of them – perfect for those of us who don’t want to commit to one flavor experience, and who want to get a more comprehensive sense of what tricks a chef has up his or her sleeve. This unique small plate hails from one of my very favorite restaurants, Oleana, in Cambridge, Massachusetts. Oleana is a little gem of a place – dim, boisterous, and teeming with exotic scents. It’s always welcoming, and pretty much my first choice when I have an opportunity for a night out. Around this time of year two years ago, I had the pleasure of being part of a Sunday-afternoon cooking class/meal with the chef, Ana Sortun, and this carrot salad was one of the dishes she prepared. 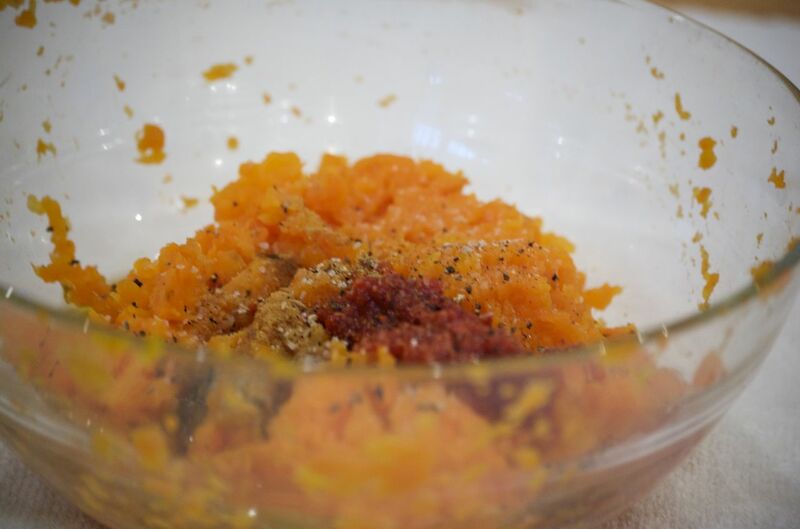 It is actually two recipes in one – the sweet heat of the carrot salad truly benefits from the addition of the nutty, warmly spiced dukkah, but can be served on its own (which is how The Lass enjoys it.) The dukkah is a lovely condiment in and of itself – served alongside a baguette and saucer of olive oil for dipping, it’s a great snack to have with a glass of wine. 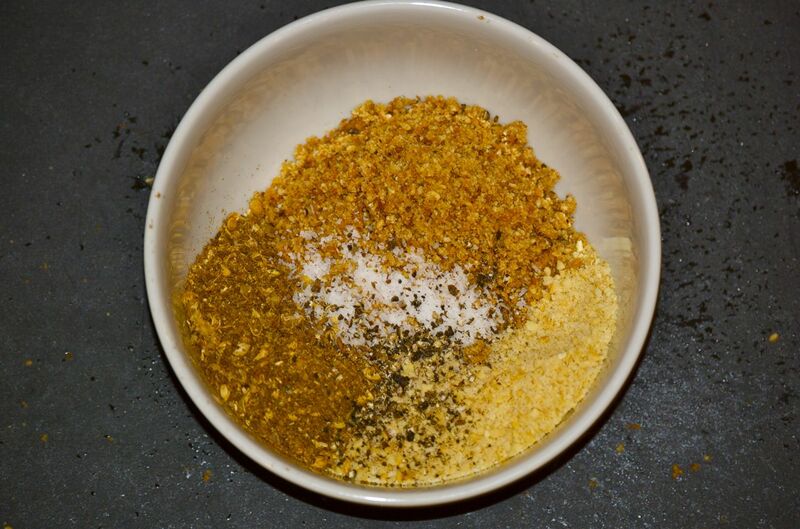 Coming from a chef’s cookbook, the recipe is not “everyday cooking” – there are some specialty ingredients, and using whole spices in the dukkah is absolutely key. But, if you’re game and willing to do a bit of ingredient gathering, the result is definitely worth it. If you’re in the area, try to eat at Oleana (and be sure to leave room for dessert.) And, if you love small plates and warm flavors, definitely check out Spice, the cookbook from which this recipe has been adapted. In a large saucepan, combine the carrots with enough water to cover them. Bring to a boil over high heat and then reduce heat and simmer until carrots are tender, about 2o minutes. Drain the carrots and return them to the saucepan over low heat for about a minute to ensure there is no excess water. Transfer carrots to a bowl and mash them until coarsely ground – they should stick together but still have “bite” to them. Stir in the olive oil, vinegar, harissa, cumin and ginger. Season with salt and pepper. In a skillet, toast the almonds over medium heat until golden. Let cool and then chop them finely (I used a mini-prep food processor to get a very fine grind). Put the coriander and cumin seeds in the empty skillet and toast, stirring constantly, until fragrant. Let cool and then coarsely grind in a spice grinder (again, The mini-prep worked fine for me.) Add the ground spices to the ground almonds. Next, add the sesame seeds to the skillet and toast, stirring constantly, until golden. Transfer to the spice grinder or mini-prep to cool. Finally, toast the coconut in the skillet until golden and then add to the grinder with the sesame seeds. When the sesame and coconut are cool, grind to a coarse powder. Combine with the almonds and spices, and flavor with the salt and pepper. For individual plates, place a spoonful of the carrot salad on a small plate. Drizzle with good olive oil, and sprinkle the dukkah on top of and around the carrots. 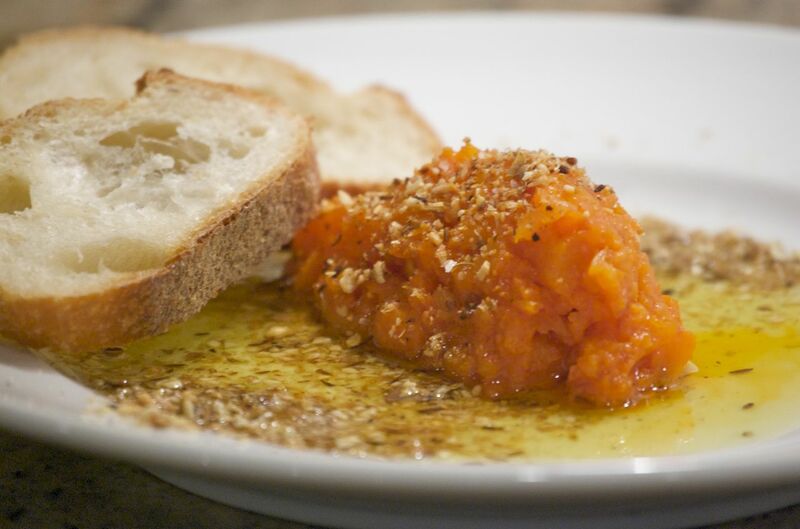 Dip pieces of baguette in the olive oil and dukkah, and then scoop up the carrot salad. For a crowd, serve with the baguette pieces alongside dukkah and olive oil – dunk the bread in oil, then in the dukkah, and spread on the carrot salad. * I used a prepared harissa that I found at my local Williams-Sonoma. I’ve seen versions at Whole Foods, and I’m sure Middle Eastern markets might carry it. Sortun’s cookbook offers a recipe for making your own, and there appear to be plenty of recipes available online, as well.